TBT: The Temptations, "I Wish It Would Rain." 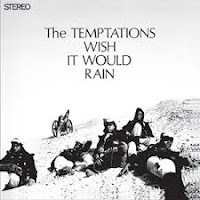 Last week, as a nod to my friends in Florida, I TBT'd Creedence's "Who'll Stop the Rain?" This may have started a "rain" meme going in my head; that and the fact that, here in New York, we've been having a dryer than normal summer, and the leaves on the ginkgo trees outside our windows are fringed in brown. Anyway, this soulful hit from the spring of 1968 started playing on the tape loop of my mind. So, as the Pythons were wont to say: "And now, for something completely different...."
Maritime views from an evening walk. 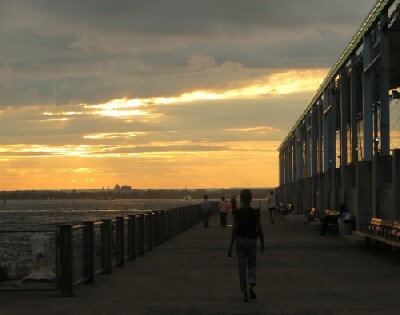 Yesterday evening I took a walk down to Brooklyn Bridge Park's Pier 5. As I walked out onto the pier, the sun had already set, but its rays were still reflected from clouds to the west. 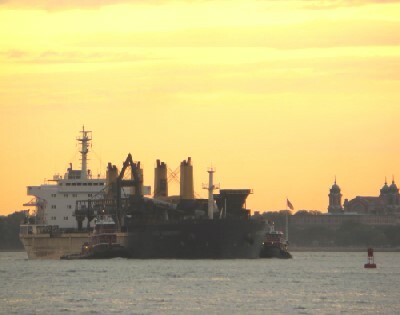 As I reached the end of the pier and looked south, I saw the tug Miriam Moran "on the hip" of a barge loaded with cargo containers, taking them from the Red Hook container port; their probable destination being a railhead in New Jersey. You can find another photo of Miriam, and a link to an explanation of "on the hip," in this post. 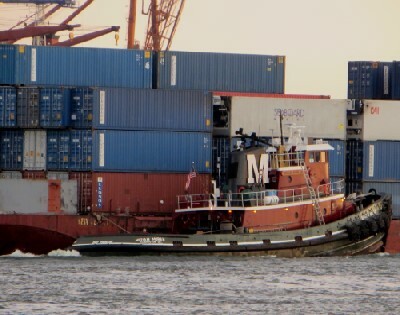 The small container ship Nefeli was docked further down at Red Hook. 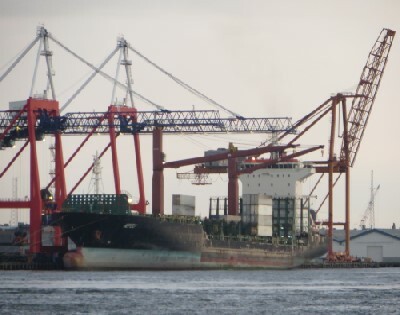 Most ships using this facility bring containers loaded with bananas from Central and South America. Looking to the west, I saw my old friend the self-unloading bulk carrier Alice Oldendorff coming through the channel between Governors Island and lower Manhattan, heading for her dock at the Brooklyn Navy Yard. Like her sister Sophie Oldendorff, seen in this post, she will deliver a load of Canadian crushed stone. 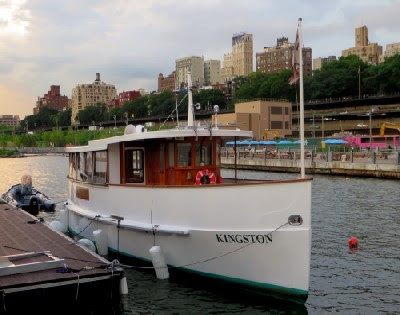 The attractive motor launch Kingston was moored at the north side of the pier, waiting for the next day's work.